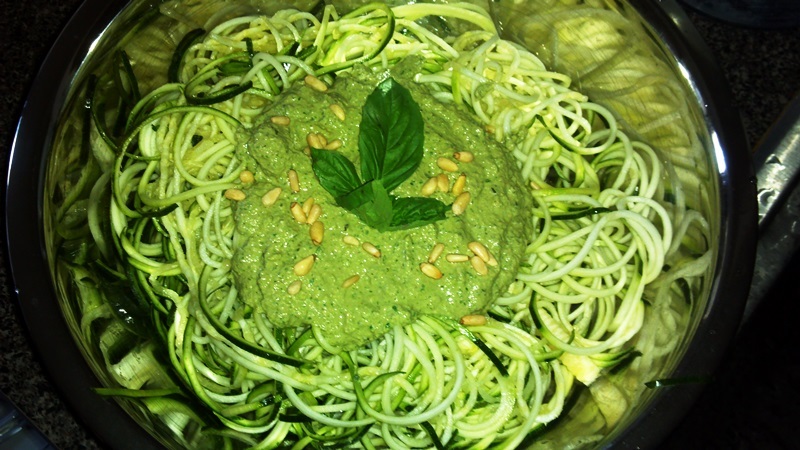 I have been wanting to make a good basil pesto sauce for raw pasta for awhile now, but it took a little bit of time to perfect the recipe. 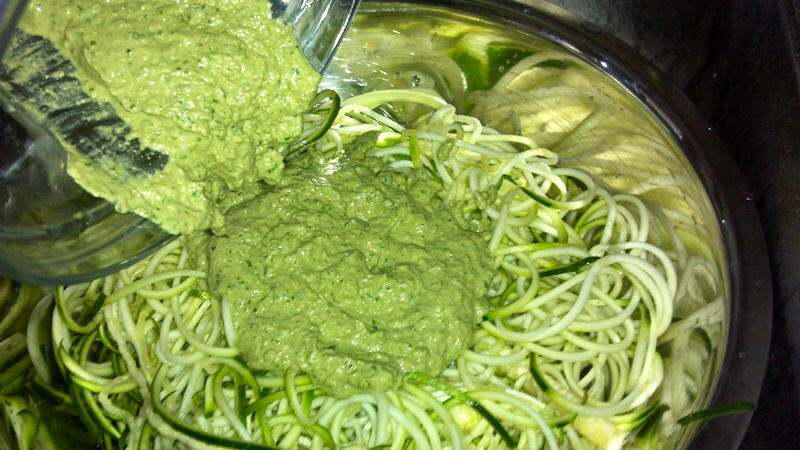 Once I did though, the basil pesto came out AMAZING, it was sooo easy to make, and…it is oil free! 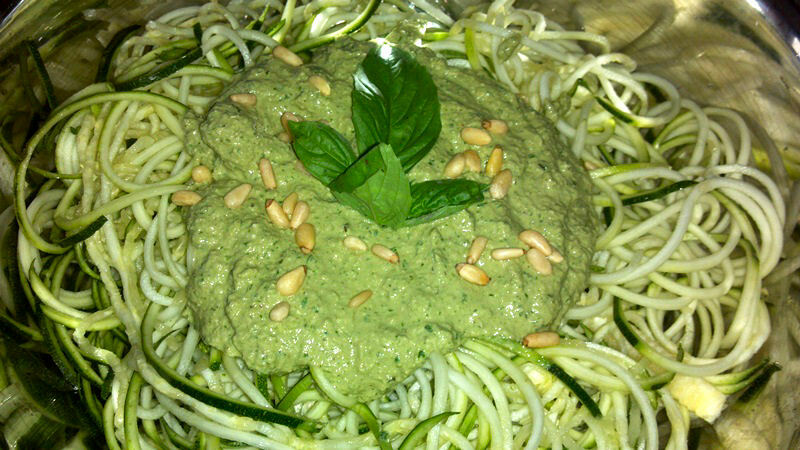 Top with some pine nuts and fresh basil (you can also add tomatoes, mushrooms, bell peppers, anything you want!) and serve! That’s it, you are done! 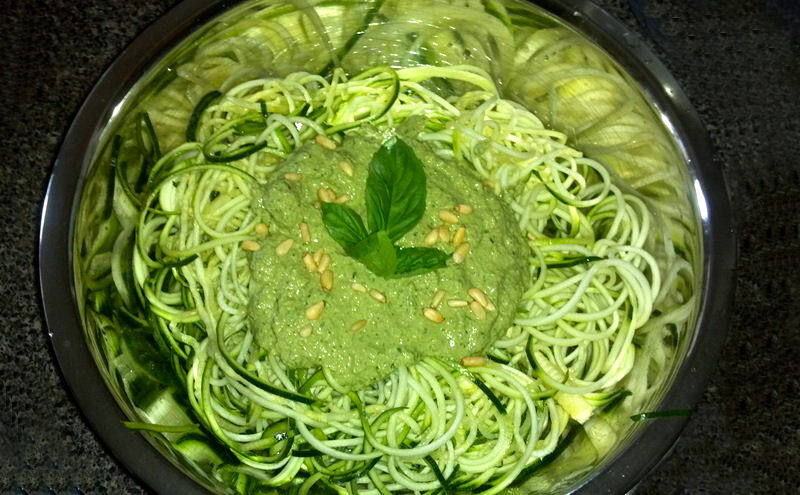 And there you have your raw basil pesto pasta! Salt free, oil free, and of course, dairy free! The nutritional yeast in this gives it the “cheesy” flavor, while the lime and fresh basil adds and extra kick! You can also use this sauce as a dip for veggies or just to eat on its own!